Discover the basic tools and techniques necessary for creating realistic, expressive drawings in graphite pencil, charcoal, colored pencils, pastels, and ink. Master the art of light and shadow, and create beautiful works of art in graphite pencil. Discover the basic tools and techniques necessary for creating realistic, expressive drawings in graphite pencil. Learn to 'see' a subject through the eyes of an artist, first understanding the basics of perspective and proportion, and then observing the play of light and shadow, adding further depth to your drawings using value, contrast, and shading. 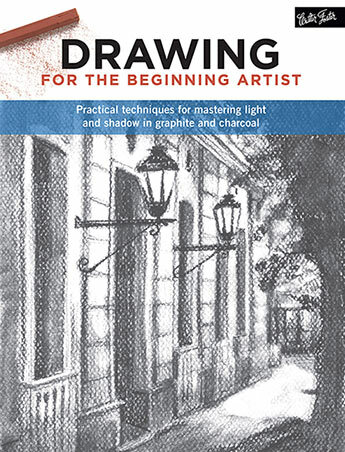 Follow along as each drawing technique is broken down into simple step-by-step projects, from negative drawing and creating atmosphere to adding realism with basic drawing tools, including graphite pencil and charcoal, as well as the subtle introduction of colour with pastels and ink. From still life to portraits and landscapes, no subject is left unturned in this thorough guide to drawing, a perfect introduction for the beginning artist. Gabriel Martin is a teacher and author and has written and coordinated more than 150 books related to fine arts, ancient and modern history, the history of art, children's books, and even fashion and design. He currently combines writing with his work as a historian, documentary filmmaker, and scholarly researcher. He is currently a professor of Visual Arts at Academia Cristina Blanch in Barcelona.